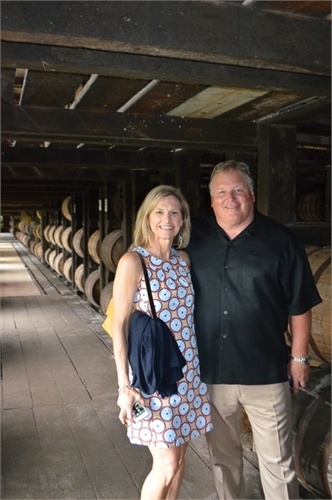 Rob and Lori Davenport entertained clients of Kentucky Planning Partners by hosting a tour of Kentucky's premier bourbon distilleries. 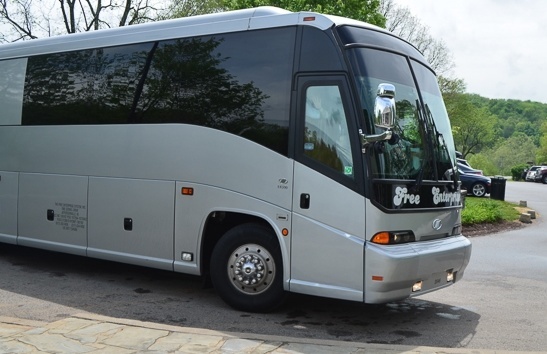 Guests were transported in a luxury motor coach and all the details of the tour were organized and provided by KPP client and friend, Joanne Caridis of Essential Details. 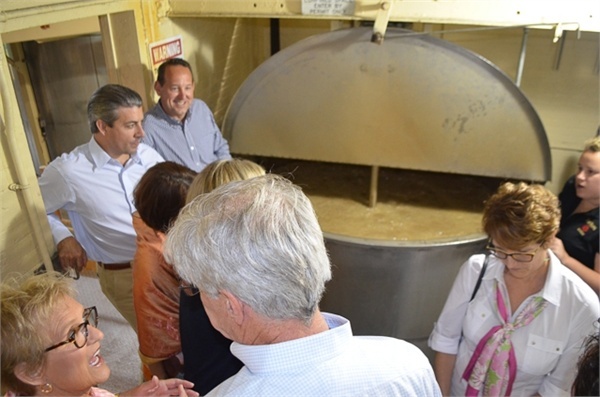 Guests were Jim and Mary Carpenter, Jill Goldberg, Weeks McKinney-Smith, Ritchie and Lisa Shewmaker, Dr. Jim and Gay Talbott, Missy Wislocki, and Angela and David Zachman. 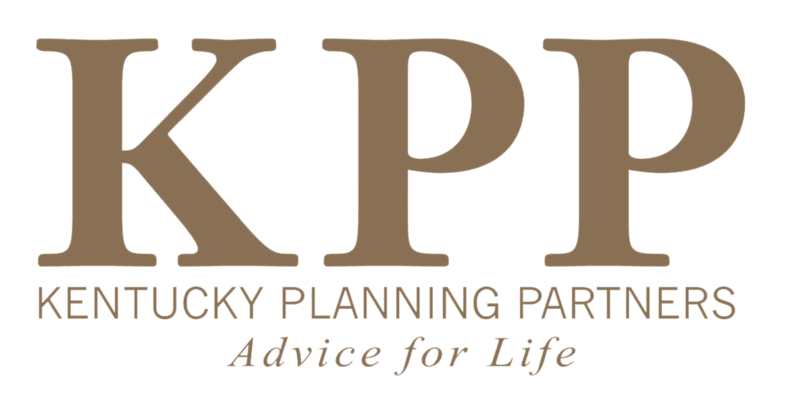 Angela has recently joined KPP as part of Rob Davenport and Ken O'Neil's financial advising/planning team. 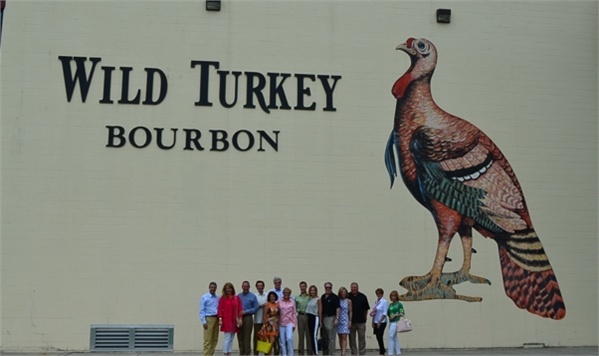 First stop was a tour of the Wild Turkey Distillery outside of Lawrenceburg, KY. 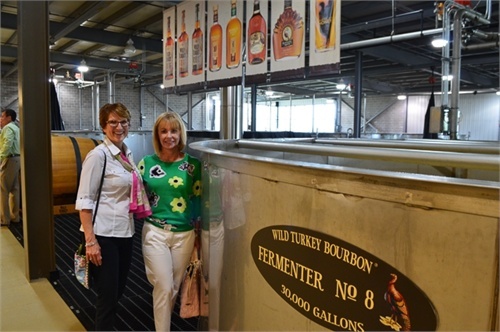 The distillery has recently added the Wild Turkey Visitors' Center and has expanded the distillery. 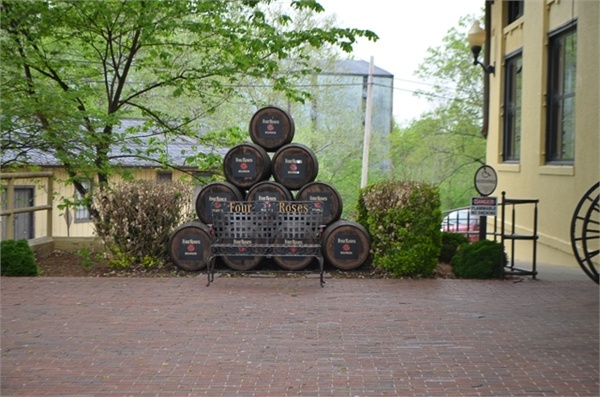 After enjoying a taste of Wild Turkey Bourbon, the group traveled to the historic Four Roses Distillery on the Salt River. 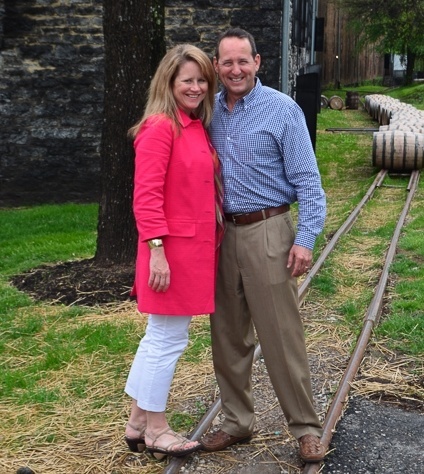 The distillery was built in 1910 and is listed on the National Register of Historic Places. 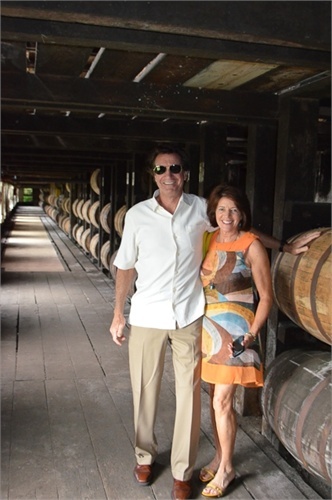 The Spanish Mission style architecture is rarely seen in the Bluegrass. 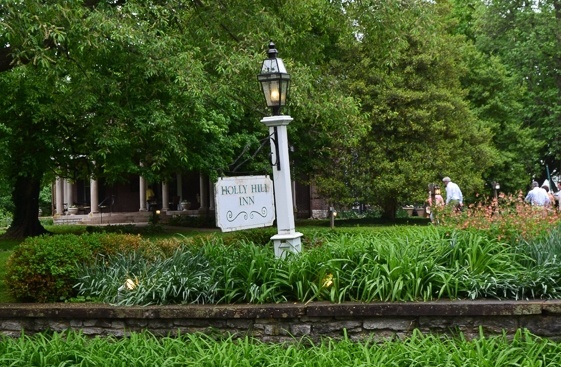 Next the group traveled to Holly Hill Inn, in the heart of horse country, for a lunch of Pork Tenderloin Roulade and Salmon Persillade. 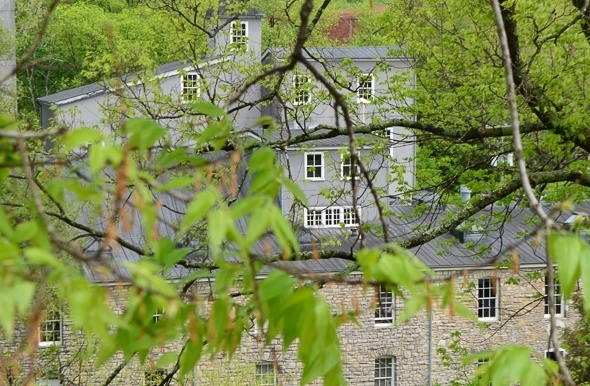 The Inn, built circa 1845, offers fine dining in an historic country setting. 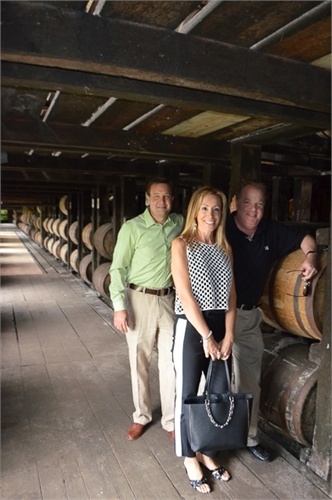 After lunch, the group headed to the Woodford Reserve Distillery which is also a National Historic Landmark. 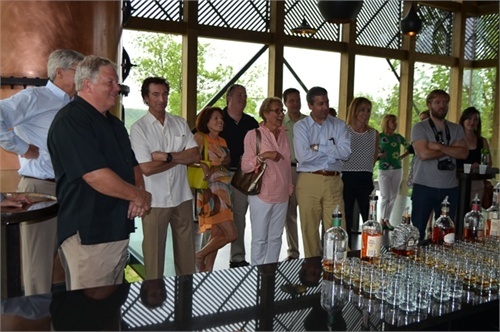 Here, the guests learned the history of bourbon and the process of maturation and bottling. 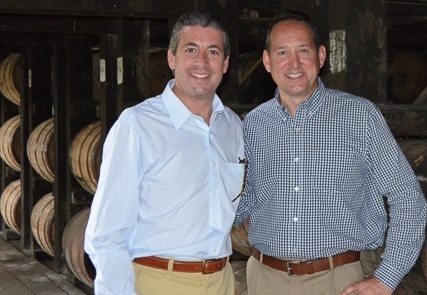 They viewed and smelled the fermenting mash and sampled Woodford's award winning bourbon.